Last week I received an email from the famous Thread. If you are not familiar with these fabulous friends of mine you can read about them here. If you are not inclined to read more than one post from me today, in a nutshell, these are my college friends. And let’s just say I am way out of college! But they have remained my friends forever and we share our lives on an email thread that has been going for years. Last week, one of our own hit the heights of paternal joy. Not many get to experience this one, and we are all happy to live vicariously through him. 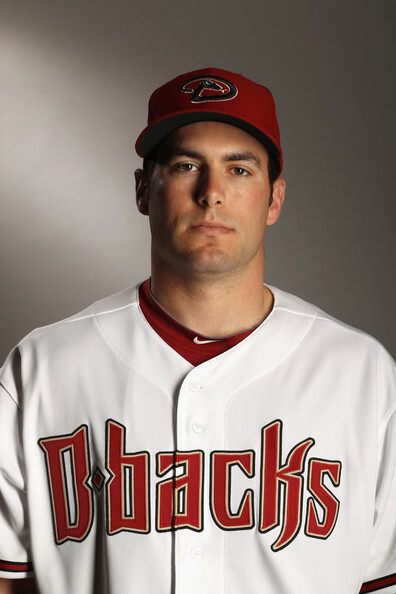 Congrats to David Goldschmidt (Goldy). His son, Paul, was called up to play in his first Major League game for the Diamondbacks last night in SF. (He and his wife were there). He is 24 and got married last year to his college sweetheart. I have met him over the years and he has grown into a really fine man. Google him. He is quite impressive. Wishing him all the best of luck and success in the big leagues. His dad was pretty good in Little League, too. By the way, the kid had a hit in his first big league at bat! Not too shabby!! As if that were not thrilling enough, the next night he HIT A HOME RUN! Goldy, I still get to call you Goldy, right? Ernie, (Dave’s father or as I affectionately call him, Mr. G) must be out of his mind. I remember, in your old house in Natick, your dad had a photo of Ted Williams hanging in the den above the TV. Who knew that 40 years later, you would have a son that would deserve to have his photo up on that wall! Look, I am not a big baseball fan. And I (sadly) have lost touch with this friend over the years. But last week we were all family again. And one of our own had hit the bigs. All of us parents who drove carpools to sporting events, spent late nights in the ER with sprained ankles (and worse), raced home from work to catch games that ultimately were rained out or our kids were benched, knew the thrill of victory and the agony of defeat if only on the Varsity level… we all watched as our friend got the biggest payoff of all times. And there is nothing better than sitting in those stands watching your child realize his dream. Wow! What an accomplishment. So few people realize just how amazing you have to be to get there. I can only imagine the joy his parents are feeling! Weeping now, in only the best way. I love your reflections on this ongoing connectedness, a kind very different than the kind that comes with simple “connectivity.” Thank you. Thanks Deb. Tuesdays are always good for a little weeping around these parts. Great story. I’ll be sure to root for the Diamondbacks over the Angels next time they play! Damn. I got chills the first time I read Neal’s words. I got em again the second time.